Persia Blues by Brent Bowman and Dara Naraghi contains the first two volumes of a Graphic Novel trilogy which blend life in modern Iran with a fantastic vision of ancient Persia. The first two volumes of a Kickstarter funded graphic novel trilogy, Dara Naraghi and Brent Bowman’s Persia Blues: Leaving Home and Love and War (NBM,) blend mythological fantasy and contemporary reality to tell the story of a young Iranian’s struggles to become her own person in two different worlds. Switching between a storyline set in Ancient Persia and a starker one that opens in an oppressive modern Iran, the books follow Minoo Shirazi, the heroine of both ongoing tales. The series opens “Here” in a “peculiar town on the outer reaches of the Persian Empire. Seemingly out of place, yet oddly familiar.” Here we meet the young adventuress Minoo as she and her anachronistically named scholar lover Tyler attempt to steal back a holy book taken from a Zoroastrian fire temple. The tempestuous young warrior woman has the ability to shoot “truth-strong” flames from a scar on her left palm, a power that will come in handy as she’s about to become a player in a war between Ahriman, the Zoroastrian personification of evil, and Ahura Mazda, the religion’s sole god and creator. Throughout this conflict, Minoo must also learn to temper her passionate nature with the need to be merciful. Second half of the trilogy takes place “There” in modern times, where we see Minoo as a young girl, first in Iran then in the university town of Columbus, Ohio, where she’ll meet a familiar young fellow student. While the Persian storyline proceeds more or less chronologically, the contemporary Iran piece moves back and forth, revealing aspects of Minoo’s life in the repressive Iranian culture, where simply going out without a head-covering hijab can get a woman arrested. At home, she also has to contend with a fiercely over-protective historian father who himself butts heads with representatives of the religiously conservative regime. If the ancient era Minoo needs to learn to balance her temperament, her present-day self has to find her own identity without forsaking her personal and national history. In both “Here” and “There,” aspects of Minoo’s other life keep leaking in, and we suspect that they’ll ultimately collide in the trilogy’s conclusion. Scripter Naraghi, himself an Iranian émigré transplanted to Ohio, uses both Zoroastrian literature and contemporary experience to weave his tale of struggling to find steadiness in strife-torn worlds. 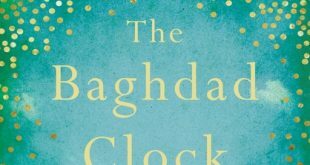 For most modern readers, I suspect the Iranian entries will have more resonance (particularly in a time where immigrants like Minoo are the topic of heated political conversation,) and he successfully makes his heroine an appealing flawed character. The Persian sequences — packed with swashbuckling daring do, mythological creatures and the dueling forces of good and evil — will most likely grab fantasy lovers, though the attentive reader will note how each of the stories parallel each other. In Book Two, for instance, we get to see the death of twentieth century Minoo’s mother from cancer as the earlier Minoo’s empress mother Purandokht is poisoned by Ahriman. In book two, we also learn that modern day Minoo has a scar on her hand to match the swordswoman’s, though as far as we can tell she’s never used it to shoot out flames. Artist Bowman renders each story in a different fashion: the magical Persian sequences are done with gray-scaled shading, while the Iran/Columbus line is illustrated with straight black and white penwork that occasionally recalls Los Brothers Hernandez. I tend to prefer the starker approach; though Bowman’s visions of chaotic epic battles with demonic, scorpion tailed adversaries can be fun. Still, what I remember most clearly are the simpler character scenes like an affecting campfire moment between modern Minoo and her not-yet-boyfriend Tyler. Sometimes, Naraghi knows, the act of getting through loss can be as heroic as surviving an attack by a pride of hostile lions. . .
Bill Sherman is a Books editor for Blogcritics. With his lovely wife Rebecca Fox, he has co-authored a light-hearted fat acceptance romance entitled Measure By Measure. Graphic Novel Review: ‘Hasib and the Queen of Serpents’ by David B.
French graphic novel legend David B.’s take on some of the Thousand and One Nights, 'Hasib and the Queen of the Serpents', proves a visual treat.